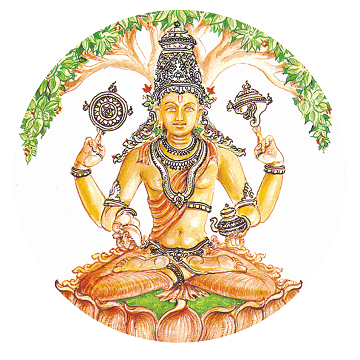 Kerala Ayurveda Limited is a One-of-its-kind, Full-spectrum, and Listed Ayurveda Company in India with a rich Heritage of over 70 years and having touched the lives of over a Million people. Its Footprint spans Wellness Resorts, Hospitals, Clinics, Academies, Products and Services in India & US. With over 350 Classical & Proprietary Formulations, thousands of Acres of Herbal Farms, a Herbal Garden that leverage the beneficial effects of over 1200 Medicinal Herbs, its own Manufacturing Facilities and R&D Centers, Kerala Ayurveda Limited is in a League of its own. Kerala Ayurveda Limited is a Pioneer in providing Holistic Healing and Wellness Solutions – in line with its Guiding Principle – the 5000-year-old Holistic Science of Ayurveda. Kerala Ayurveda Limited is Powered by various Pioneering Entities like Katra Phytochem (India) Private, Renovel Discoveries, USA and Asthagiri Herbal Research Foundation, India, that ensure that all batches of our Products meet the Highest Standards of Safety, Purity and Efficacy. A force to reckon with in Healthcare, growing at a spectacular rate – with new Clinics, new Market Strategies, new Products and new Cures. Being one of the largest manufacturers of Ayurvedic Medicine in compliance with Good Manufacturing Practice (GMP), and the first Public Limited Company in Ayurvedic domain, Kerala Ayurveda Limited is truly on a mission to be the number one choice in Ayurveda Globally. 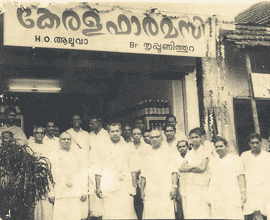 Ayurveda Acharya Vaidyan KGK Panicker (Kollasseril Govindan Kunju Panicker), a doyen in the field of Ayurveda, founded Kerala Ayurveda in 1945 at Aluva, Kochi. He started his Mission with a Philosophy to promote the richness of Ayurveda Tradition by providing Quality Products and Services to Mankind. He got the Trademark registration from Calcutta in 1955. He also introduced the Concept of a Nursing Home (In-Patient Facility) for Panchakarma in Central Kerala at Aluva. He modified and developed many new Ayurvedic Medicines with Proprietary Names keeping in Mind the needs of his Patients. 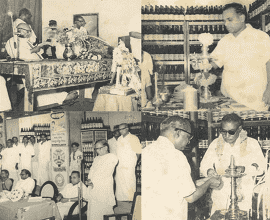 After demise of KGK Panicker in 1973, his son Dr Anil Kumar, continued the legacy and tradition and developed many products and special medicines in which many of them were further modified into New Dosage Forms. 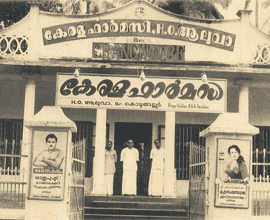 KAL (Kerala Ayurveda Limited) carries KGK Panicker’s Mission and Objectives, contributing further to the development of Ayurveda to benefit the International Community in Healthcare.